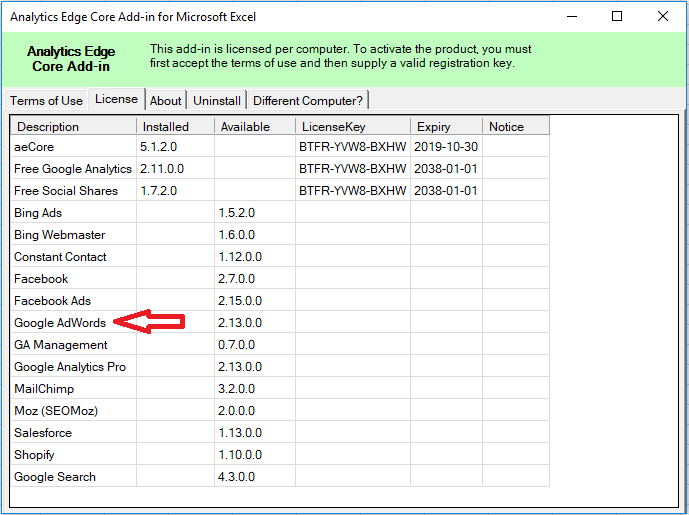 Connectors are installed from inside the Add-in itself — in Excel, on the Analytics Edge ribbon bar, click the License button. All paid connectors are available free for 30 days, no payment required. The License wizard shows the current status of all installed and available connectors. The add-in itself is listed at the top, followed by all of the connectors. If a connector has been installed, the installed version is shown. If there is an update available, or if the connector has not yet been installed, the latest version will be shown in the Available column. To install a connector, simply click the entry for it. A second wizard panel will open offering an Install button. Click the button to install the latest version of the connector. After you restart Excel, the connector will appear on the ribbon. 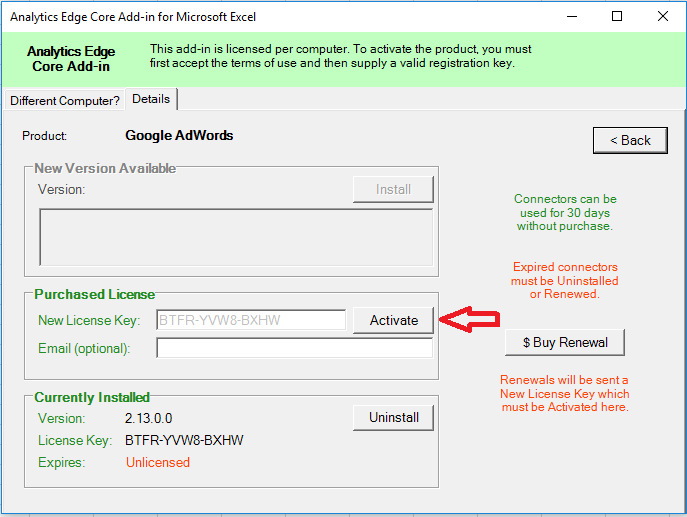 The connector might automatically activate a 30-day free license. Open the License wizard to confirm the status of the connectors. If there was a problem with the automatic activation, you may need to manually activate it. Simply click the entry and click the Activate button. Note that if your trial period has expired, you will need to purchase a license key. Enter your purchased license key and click Activate. 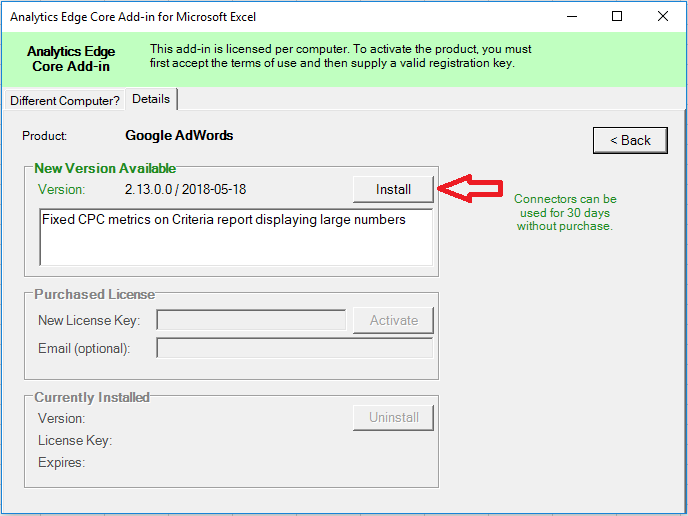 If you no longer want to use a connector, you can uninstall it by clicking the entry in the License wizard, then clicking the Uninstall button. After you restart Excel, you may be asked if you want to removed all previous versions of the connector as well.